Yesterday I had jury duty. I was at the Orange County Courthouse in downtown Orlando in the Jury waiting room at 8 a.m. and ended up getting called for the first jury pool to be sent up stairs. I spent all day with 50 other perspective jurors being questioned by the lawyers for the state and the defense as well as the judge. By the end of the day they’d widdled it down to about 35 of us to choose their 14 person jury from. As Elmer Banner sits in the Orange County Jail, charged with murdering his wife and mother-in-law, newly-released police interviews detail bizarre activities in the family’s Lake Nona home days before the alleged attack. 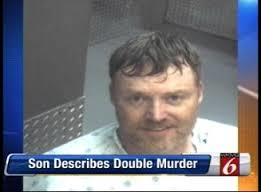 “He began to preach to the family, yelling and screaming Bible stories,” Banner’s 14-year-old son told detectives. Banner had never been openly religious, according to the teen. But on Feb. 18(2012), the day before the shootings, the son said Banner began talking about a “family curse,” according to police reports. Another family member told detectives Banner bought white T-shirts for himself, his wife Debra, his two teenage sons and his in-laws, who were also living at the house. That night, Banner gathered the family together in the living room to hold hands while he told Bible stories for more than five hours, according to reports. “He’s never done that before,” said the son in the police report. Banner also discussed his desire to visit a nearby body of water, said the teen. “He talked about Lake Nona being the fountain of youth,” his son said. Around 7 p.m. the next evening, after returning home from a movie, Banner called his 14-year-old son into the garage. A short time later, the teen said his father entered his bedroom and handed him an antique 9mm Luger as Banner held a .45-caliber handgun. “He was talking about judgment,” said the teen. “He’s like, ‘It’s time, it’s time,'” as the two walked downstairs. “He told me, ‘Stay behind me. I’m your protector. I’m going to protect you. You’re the Chosen One,'” said the teen. As Banner and his son approached the garage, they were confronted by Banner’s mother-in-law, Carol Minich. 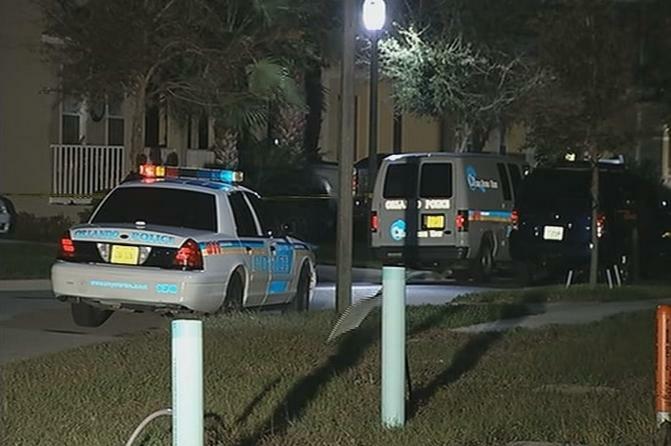 The teen said his dad shot the 70-year-old woman in the head without warning, and then called to his wife. According to witnesses, Debra Banner ran downstairs screaming, “You killed my mom!” Banner then pointed his gun at his wife and fired into her chest several times, said the son in the report. As the two bathed, Banner’s father-in-law, who also witnessed the shootings, ran outside in his underwear and told a neighbor to call 911. The couple’s other son, age 13, remained in his bedroom, where he had been hiding since he first heard gunshots. When Orlando police arrived, Banner walked outside, according to the report. According to investigators, Banner ignored their commands to put down his weapon, so police shot and wounded the gunman. As Banner lied on the ground near the back door, his 14-year-old son approached. Mr. Banner didn’t say a word the whole day he sat in the courtroom right across from me. Our eyes met several times. At the time I didn’t know the details of the crimes he’s accused of, only the charges. Did he look like a psycho killer? No, but he did look off. I suppose anyone would given the circumstances. He didn’t say anything because it would seem he’s not going to be testifying in his own defense and instead invoking his right to remain silent. I will say that of all the lawyers in the room, he had the best tie. The two lawyers for the state of Florida had very boring, conservative ties. The lawyers for the defense were a bit better, but I really liked Elmer’s tie. Why am I talking about ties? Because I was sitting in the courtroom for close to eight hours with little to do but watch these guys. So why wasn’t I picked for the Jury? I’m pretty sure it’s because when asked if I would be able to find someone guilty by reason of temporary insanity, I replied that wasn’t likely. I have a hard time believing that someone can be sane one moment, be insane the next, and then be sane again. Add on to that that the only person who can truly give evidence as to the state of mind of the defendant at the time the crime was committed (aka the defendant himself) is opting not to testify … well, odds were I’d have a really hard time letting him off on an insanity defense. I had to explain all this to the two defense lawyers, two lawyers for the state, the judge and Elmer himself as I was called in for a private questioning while they were in their final jury selection deliberations at the end of the day. I can only guess that the reason I was called in along with about 2 or 3 other folks is because they were on the fence about us. So I’m kinda bummed. Yes, the trial is supposed to start today and last about 2 weeks and I’d miss work, but my company pays for jury duty and what great material for my next novel! SO close … and yet so far … From a psycho killer … and a good book I’ll never write. ← 7 Nov 2015: Just when you thought you had it right … You take some Flak!